Recently started looking at publishing our C# libraries to nuget.org. This first post covers my experience with the actual packaging. In a later post I’ll do the signing and publishing. Subor.NNanomsg.NETStandard (our fork of NNanomsg- a C# library for nanomsg) was particularly frustrating because it involves a native library nanomsg.dll. But I struggled making a package that worked; nanomsg.dll wasn’t in the output directory. The .targets file mentioned in several places seems to no longer be necessary (VS 15.7.4 and nuget.exe 4.7.0) unless your package will be consumed by c++ projects. Native libraries need to get packaged in /runtimes/RID/native/. Runtime ID Catalog not only has a complete list of all Runtime IDs (RIDs), but also gives a pretty detailed explanation. 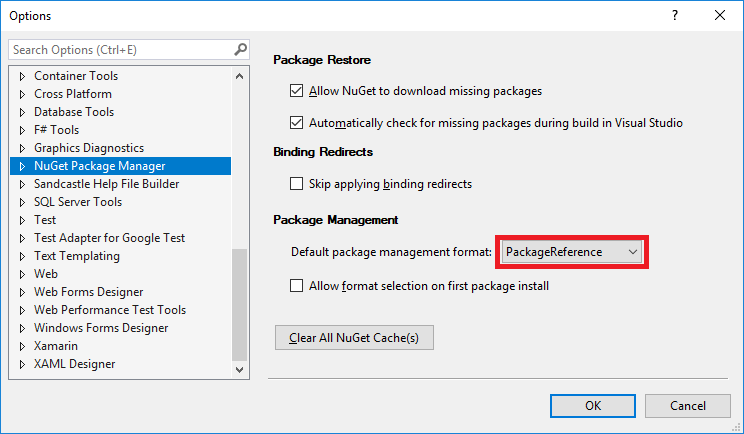 nuget pack -Properties Configuration=Release will build a release nupkg (default is debug) for the .csproj in the current directory. The output assembly will automatically be included. The NuGetPackageExplorer gives a nice visual look at your nupkg and its meta-data. Just make sure to File->Close otherwise nuget.exe and Visual Studio will have problems accessing your nupkg. A nuspec file with the same name as the csproj will automatically get included when using nuget.exe from the command line. For example, NNanomsg.NETStandard.csproj and NNanomsg.NETStandard.nuspec. When using nuget.exe, a <files> section of the nuspec seems to be the only way to include /runtimes/ files. <Content> in csproj places things in a content/ subfolder (nuget.exe ignores <ContentTargetFolders>), <None> doesn’t include them at all. WARNING: NU5100: The assembly 'bin\Release\netstandard2.0\NNanomsg.NETStandard.dll' is not inside the 'lib' folder and hence it won't be added as a reference when the package is installed into a project. Move it into the 'lib' folder if it needs to be referenced. Attempting to build package from 'NNanomsg.NETStandard.nuspec'. Starting NuGet 4.0, all package-related metadata can be stored in the csproj. 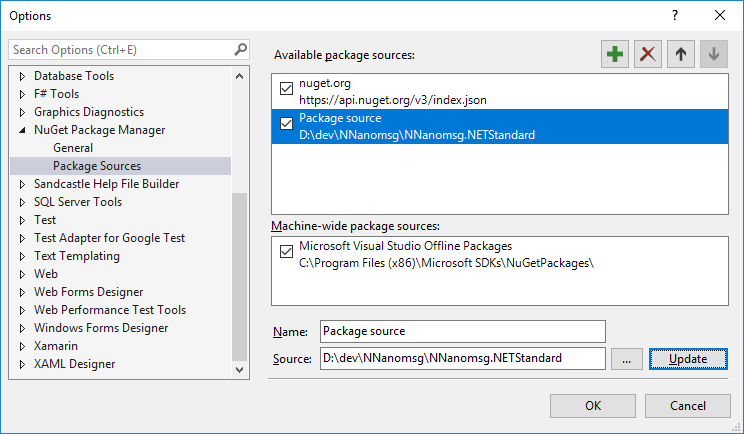 Visual Studio Package Manager (View->Other Windows->Package Manager Console) makes it easy to reload a local nupkg. Make sure Default project is set to the correct project and run: Install-Package D:\dev\NNanomsg\NNanomsg.NETStandard\NNanomsg.NETStandard.0.5.2.nupkg. Installing the package doesn’t cause the native binaries to get copied, you have to build the project. Next I’ll go over signing our package and pushing it to nuget.org.